Clothing forms for pegboard. 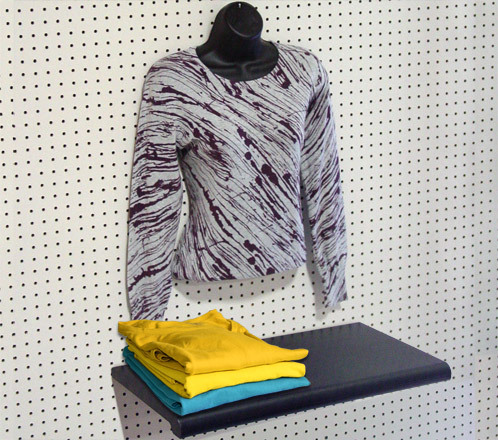 Pegboard Clothing Forms allow you to display your hanging clothing forms on pegboard panels. Pegboard clothing forms come with the clothing form and hardware to hang the clothing from on pegboard. Palay Display is your source for pegboard clothing forms including male pegboard clothing forms and female pegboard clothing forms. Slatwall or Pegboard Men's Torso Form - Fleshtone. This fleshtone torso clothing form perfect for merchandising your store's pegboard panels or slatwall panels with hanging clothing form displays.